Two and a half month have gone by since version 1.2.0. Yesterday we tagged the latest release: version 1.3.0. 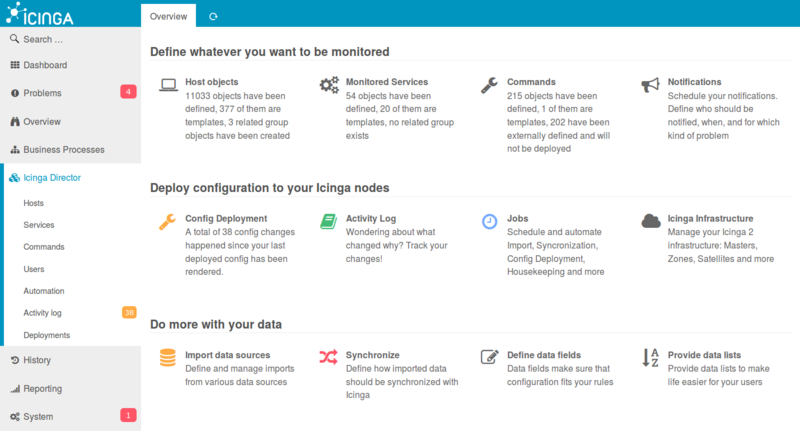 As we all know, Director is a fantastic tool for automation, being the glue between your various data sources and your monitoring. But in the rough real world not all the things are always automated. 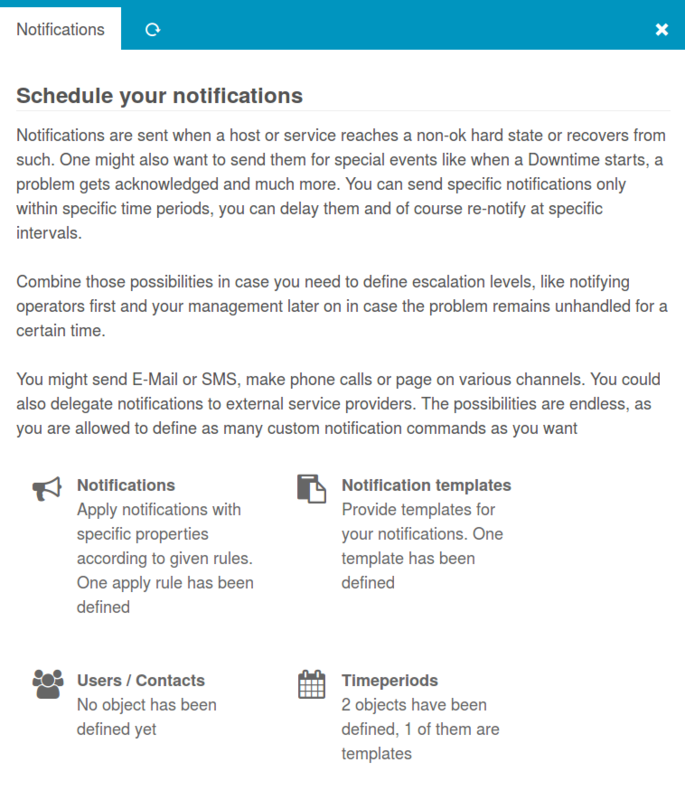 Therefore, this release puts focus on managing all those “little exemptions” many of you are facing in their daily work with in semi-automated environments. We now provide more instruments that should make those manual tasks quick and more enjoyable. New filter-based Custom Fields are for example a powerful instrument when it goes to provide specialized wizard-like forms to your users. 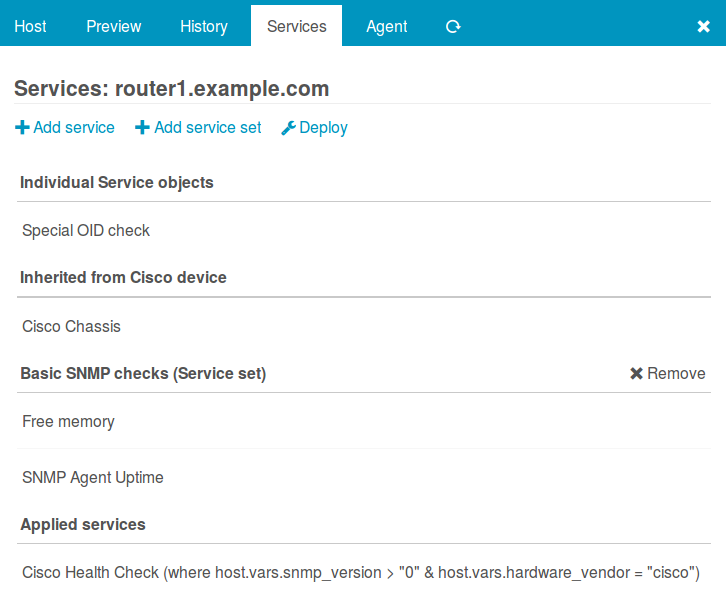 Our documentation shows a related real-world example for SNMP-based checks. Please give it a look to get an impression of what is possible right now. Build it once and delegate all those daily changes! One new feature is shown on the Infrastructure Dashboard: it now links to the Kickstart Wizard. This has been a hidden feature since 1.2.0. As it proved to work well, it got a prominent place in the GUI and some short hints on the related Dashboard. 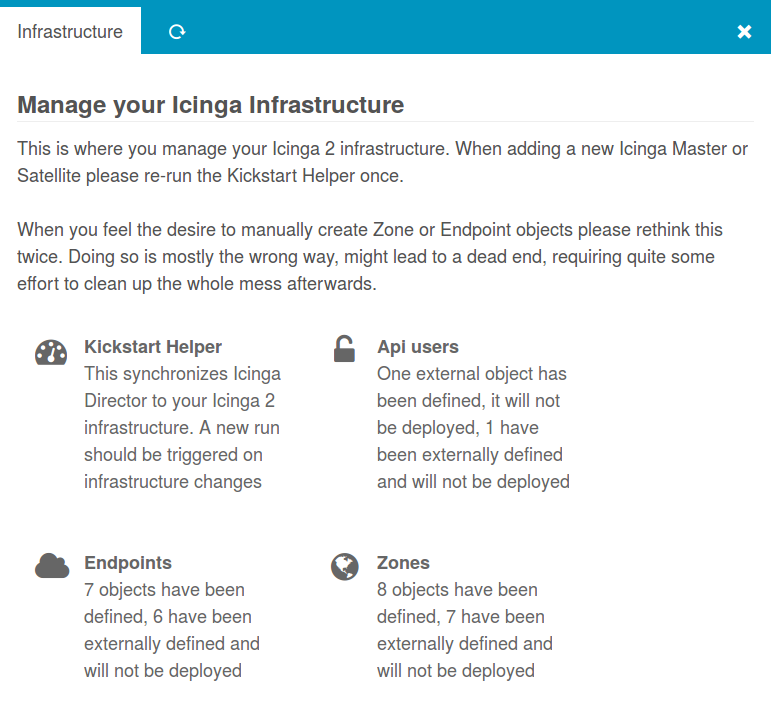 Please trigger it when adding new Master or Satellite nodes to your Icinga infrastructure. This also comes in handy when you add manually defined commands to your plain-text configuration. 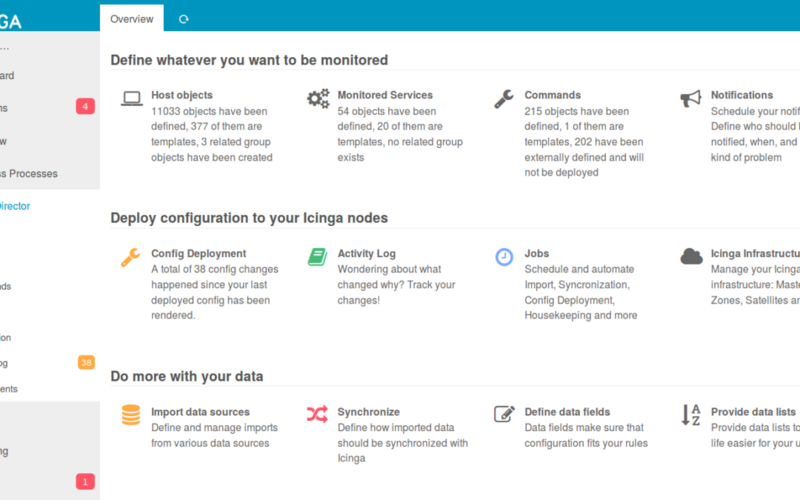 This is not required for Icinga Agents – configure them as you always did. What’s new in that relation is that you are now allowed to specify whether a Host is an Agent (and to which parent Zone it eventually belongs) directly on every single Host. Should be useful for setups with one or more Satellite layers, as you are now no longer required to create dedicated “Host in Zone X” templates. That’s just a small extract of our changes, so please read the full changelog for more details on new features, bugfixes and improvements in this release!